Excellent location, El Born district is very lively, lots of shops, restaurants, and also so close to iconic places of Barcelona (Santa Maria Del Mar, Ayuntamiento, etc).Also the apartment is very comfortable, and cozy. The Location is wonderful. Staff was wonderful as well. The apartment needs a little maintenance but overall is great. It was clean, cozy, beautiful. Staff was super friendly. They were always smiling and were ready to help. 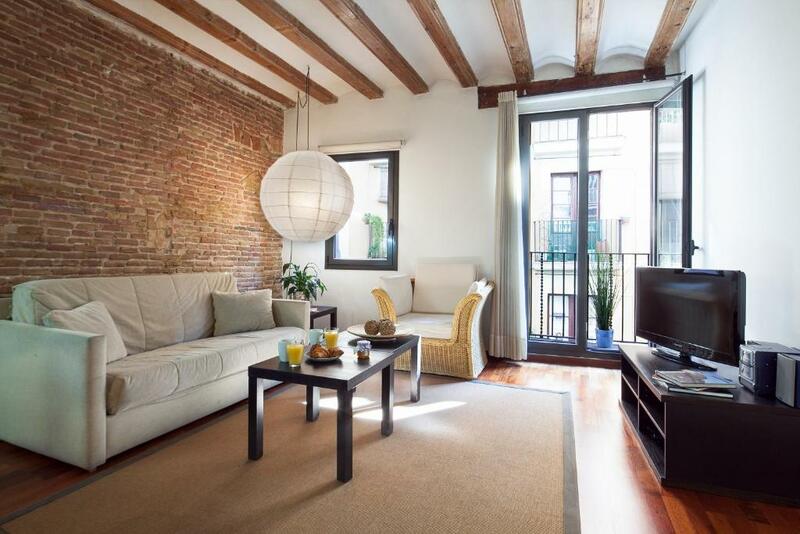 The location is a bonus - centrally located in Borm neighborhood and close to all shopping and eating areas. Geat restaurants near by. Walking distance to Barcelona Cathedral - A must see - and to the beach. Great location., beds comfortable, reasonable space, a/c. Location was amazing. The balconies had great views! The best location! Spacious apartment! Very clean. The extremely helpfull staff and tailormade guidance. I will definitely book again with Inside Barcelona! 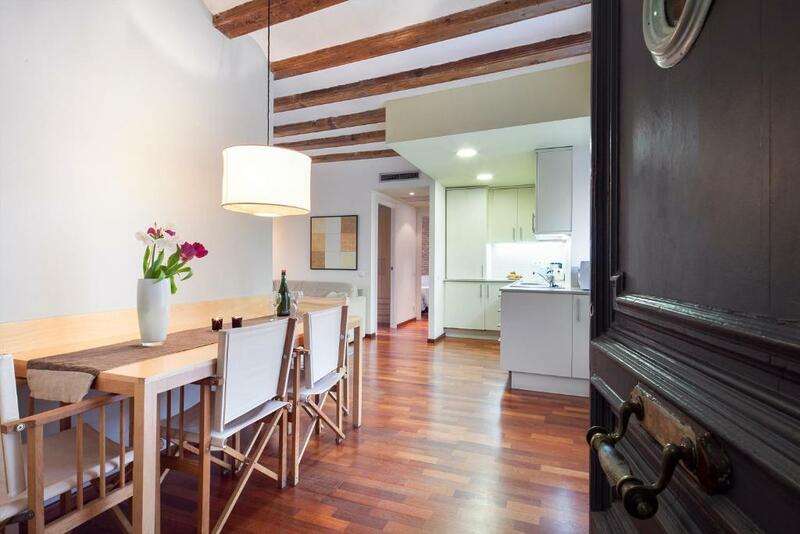 Lock in a great price for Inside Barcelona Apartments Esparteria – rated 9.1 by recent guests! 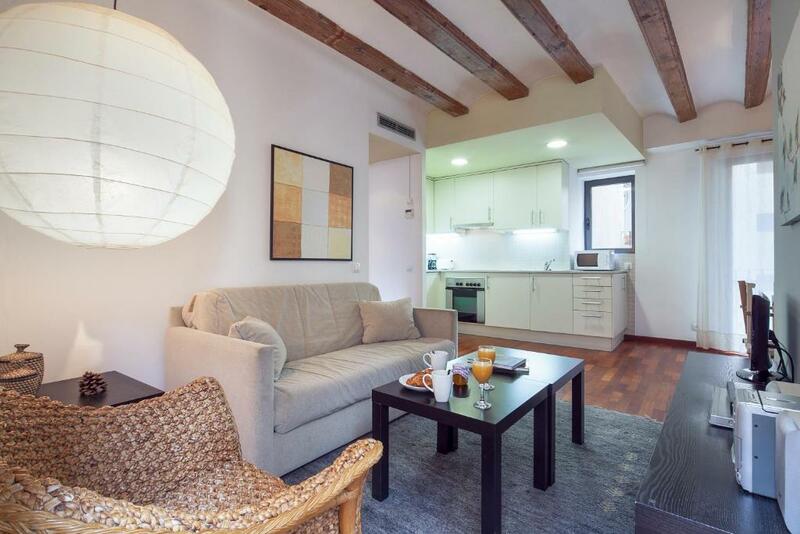 One of our top picks in Barcelona.These stylish apartments are located in Barcelona’s El Born district, 3 minutes' walk from the Picasso Museum. Each apartment offers free Wi-Fi and flat-screen satellite TV. Staff at reception can help organize your trip to Barcelona. Bicycle rental and a ticket service are also available. The Esparteria is within 350 feet of the popular Passeig del Born. Barceloneta Beach is a 15-minute walk away, and Ciutadella Park is 1,300 feet away. There are various restaurants, bars and supermarkets within a short walk. When would you like to stay at Inside Barcelona Apartments Esparteria? We love Barcelona, its lifestyle and its people, but what we most relish is sharing this experience with our guests. For this reason, our apartments are right in the city centre and our office is next to them, because we are delighted to cater for every need. House Rules Inside Barcelona Apartments Esparteria takes special requests – add in the next step! Inside Barcelona Apartments Esparteria accepts these cards and reserves the right to temporarily hold an amount prior to arrival. Please note that arrivals after 21:00 will be subject to a surcharge of EUR 25 and arrivals after 00.00 will be subject to a surcharge of EUR 40 to be paid upon arrival. Additional guests might be accepted in some of the apartments at an extra cost. Please contact the property first. Central location. Very helpful staff. Clean an comfortable apartment. Loved the location, the oldest part of Barcelona had a great authentic feel. Apartment was perfect for two adults and two teenagers safe area and close to walk everywhere or catch the metro . Heaps of great tapas bars around . We loved it . The location is excellent. Easy walking distance to. La Ramblas and metros. Lovely tapas restaurants, very close to Picasso museum. Can walk to beach. Loved these apartments. Stayed in large one bed which actually had two bedrooms. 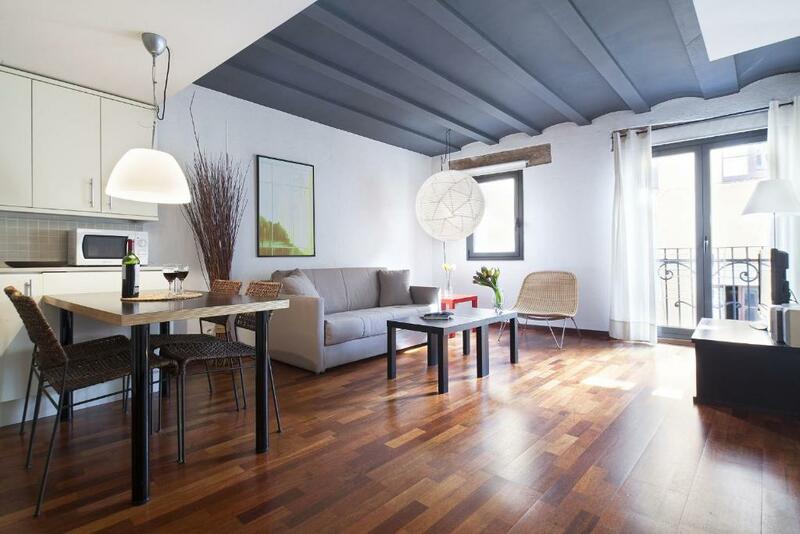 El Born is a fantastic location. Apartment was perfect. Views to street are stunning. The staff were so helpful. No noise at night, great beds, spotlessly clean. Book them now! We will definitely be back. Very friendly and helpful staff. 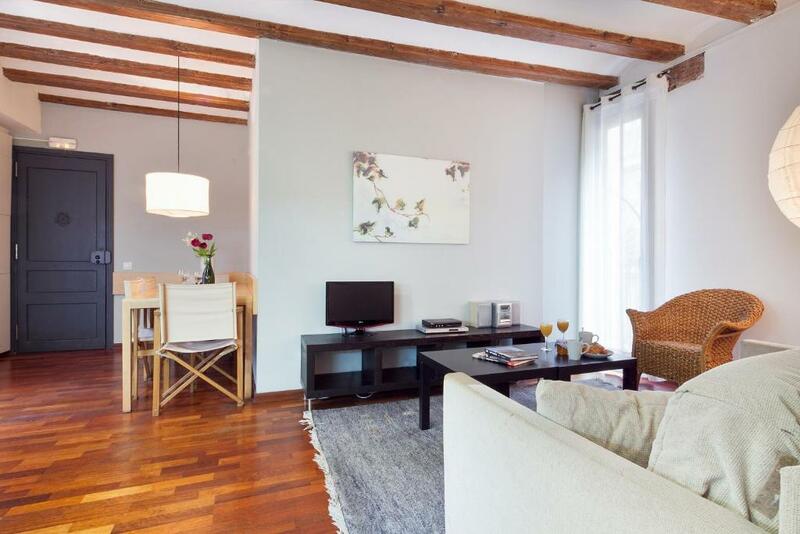 Nice and fully furnished apartment with a great location, close to the train station, metro, centre and port. Walking distance to the stores, restaurants, shopping malls and some of the tourist attractions. Great apartment, great location, great staff! We were very impressed and would definitely stay again! Noise from adjacent apartments can be a distraction. Popular location after mid night and can be noisy outside. Smart and clean apartment and helpful staff. 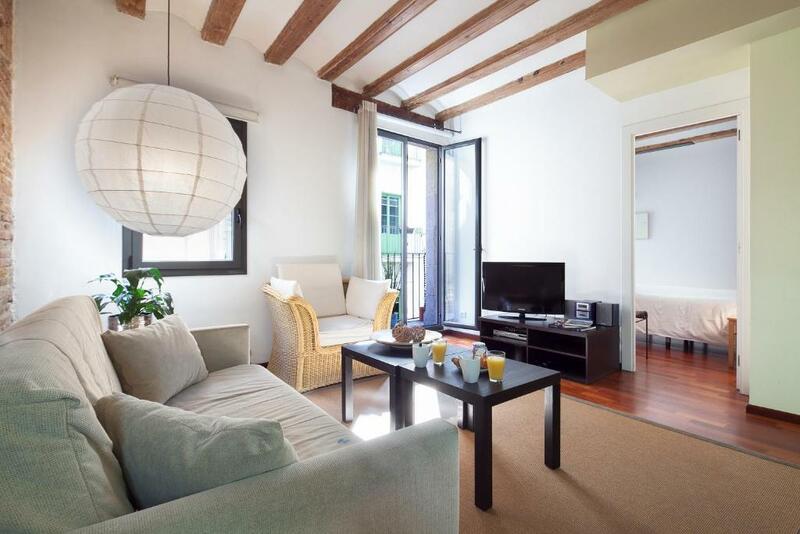 Ideally located in old town Barcelona. Lift available to avoid the steep narrow stairs. 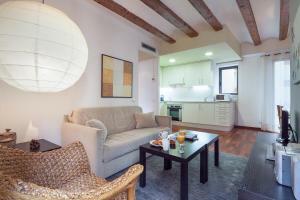 Location was brilliant, staff excellent and it was a well sized and well equipped apartment. It was a bit sparsely decorated making it feel a bit basic The beds were very small and not that confortable. It would be useful and nice to provide some free basics for the kitchen, such as salt, pepper and oil so these don't all need to be bought. Location was great. Check in really easy. Staff very friendly. Apartment very clean and a great shower! Need to update a few things that are old - couch, other things in the kitchen and their heater, very weak and doesn’t work quickly. Great area. Close to many restaurants. 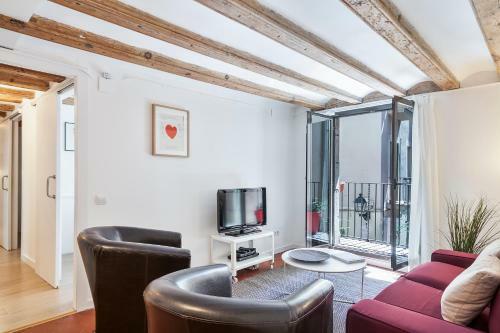 The people who manage Inside Barcelona Apartments are very friendly and helpful. Great location. 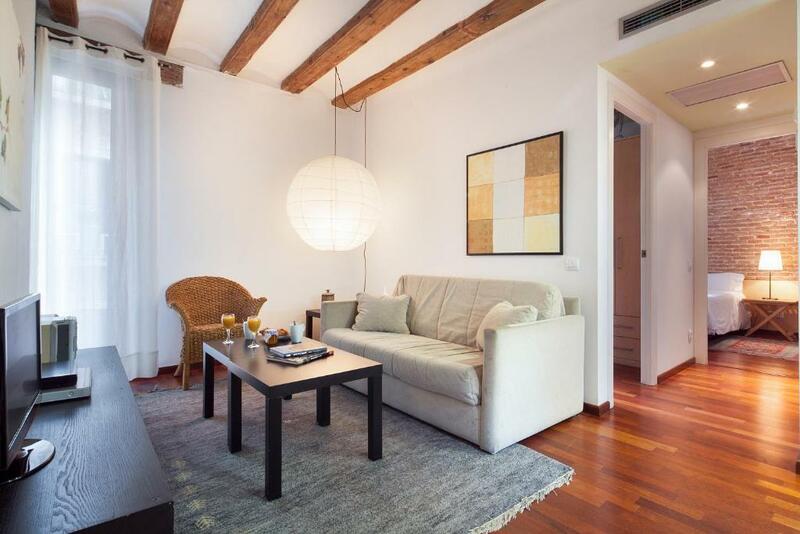 Spacious and comfy apartment with a lovely terrace. Good AC. Central to the best places to eat and drink in Barcelona. Staff were really friendly and helpful. This is my second stay at this apartment. Highly recommended.